IG has an embedded culture of quality and pride in work. Our team is committed to the IG vision. IG has a large professionally qualified team, operating from modern production facilities throughout the UK and Ireland. IG is proud to set the standard in lintel design, production and delivery service. With knowledge of our customers’ ever changing needs, we continually invest in specialist plant and equipment. IG also invests in professional training for employees to support and manage the business. IG’s success is a testament to our inventive, devoted and responsive personnel. Our employees engage actively in all areas of our business. Good ideas come from everywhere within the company. As a registered NVQ training centre, IG continually supports the development of employees, empowering our people to achieve more. IG, the industry leader, is quick to incorporate the most effective innovations in production, machinery and materials in our operation. 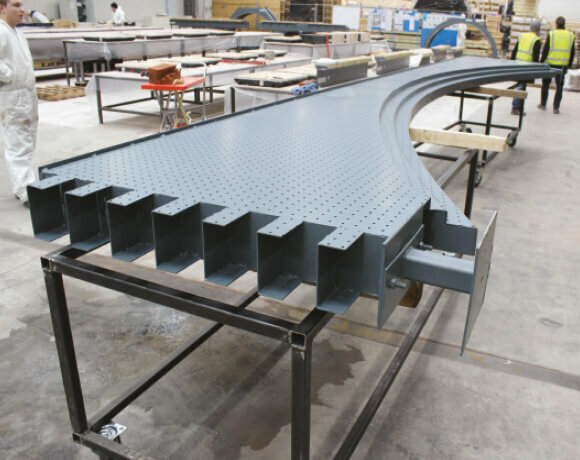 Our Lintel Fabrication Division uses the must sophisticated computer controlled machinery available to guarantee consistent precision engineering and product quality.